2. Set up guest OS. 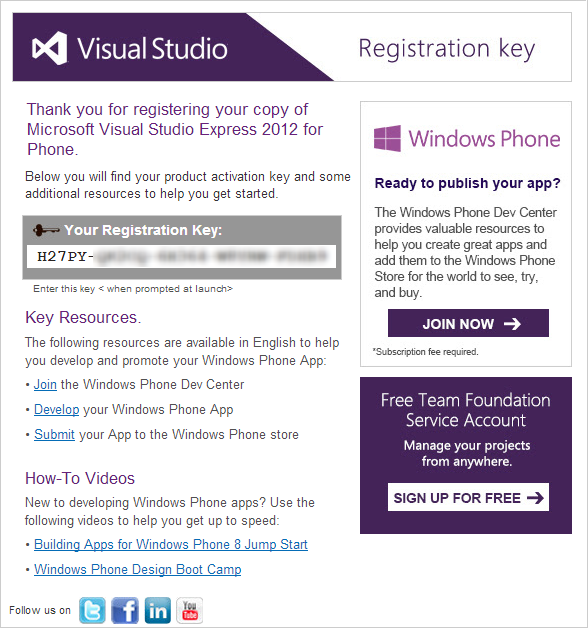 Install Windows Phone 8 SDK with Visual Studio Express 2012 for Windows Phone (grab here). Install VS 2012 Update 3 or later (grab here). 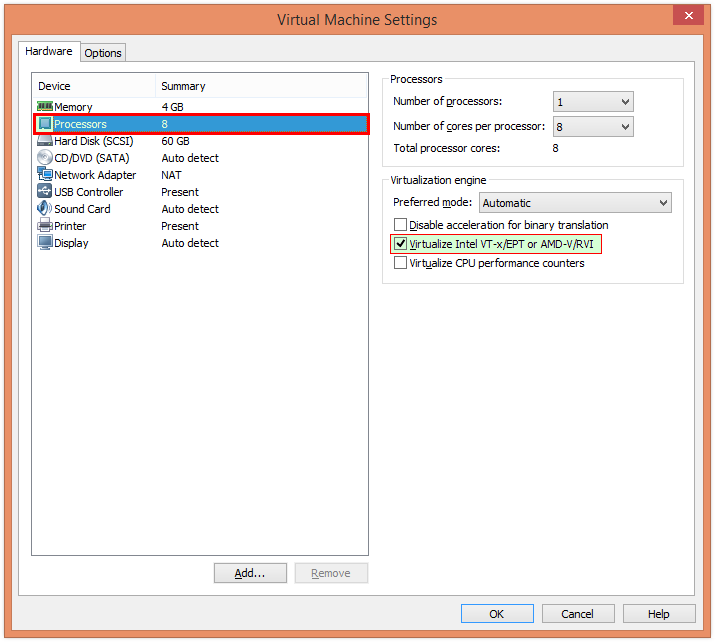 Make sure you enabled option “Virtualize Intel VT-x/EPT or ARM-V/RVI” on the “Processors” device. This is required to be able to run HYPER-V on your virtual machine. 4. 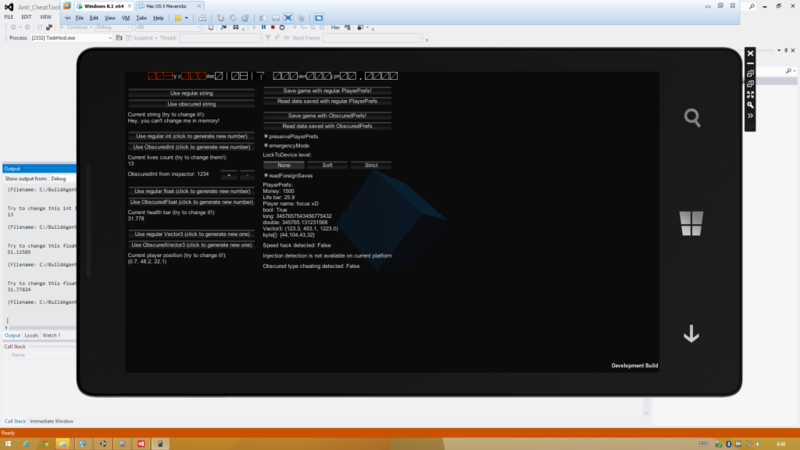 Edit VMWare Virtual Machine .VMX file. Locate it where you saved your VM and open using your favorite text editor (I prefer open source Notepad2-mod). 5. Build your app using Unity 4.3.3 or later. 4.2.x and earlier output doesn’t support emulator, make sure you’re using Unity 4.3.3 or later, it’s important. 6. Run in VS Express 2012 Phone. Open solution generated by Unity. 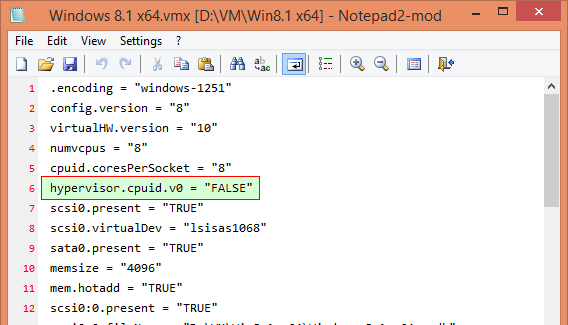 Thanks to Andriy Pidvirnyy for his WP8 feedback on my Anti-Cheat Toolkit plugin and initial help with emulator set up.